In Chapter 3, Frodo finally sets out on his quest. But in this Chapter and beyond, Tolkien shows us that this is not just a journey through space. It is also a journey through time... and more specifically, a journey back in time. 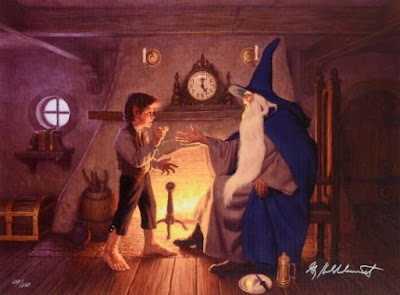 The fuzzy nature of time is an aspect of The Lord of the Rings that is not often discussed. "As for where I am going," said Frodo, "it would be difficult to give that away, for I have no clear idea myself yet." "Don't be absurd," said Gandalf, "I am not warning you against leaving an address at the post-office! But you are leaving the Shire--and that should not be known, until you are far away." The word that arrested my attention here is "post-office". Post-office? Think of what it means to have a post-office (and especially a post-office that offers a mail-forwarding service). It means that there is a high degree of literacy in the Shire (something, in fact, we already know from Chapter 1, where Tolkien mentioned that Bilbo sent out hundreds of invitations and received written replies like Thank you, I shall certainly come.) What does literacy mean? Education. What does education mean? Schools. Schools require prosperity. And prosperity generally requires trade and government. There are a thousand ways that Tolkien tells us that the Shire is not merely an enclave of subsistence farmers. Rather, it is a civilized, educated and materially complex society, with luxuries that would be unheard of in a medieval setting. Look back again at Chapter 1, at Bilbo's going-away presents to friends and family. These gifts include an umbrella, a set of silver spoons, and a waste-paper basket. Before the Early Modern period, few people owned cutlery, let alone silverware. All Bilbo's presents require sophisticated craftsmanship, but the waste-paper basket is especially remarkable. Until the 19th century, paper, parchment and vellum were rare and expensive commodities in Europe -- so precious that they were reused compulsively. Before the advent of steam-powered paper mills, a waste-paper basket would be like a waste-money basket: a contradiction in terms. Among the parting gifts, there's also a reference to "a strong red wine from the Southfarthing, and now quite mature, as it had been laid down by Bilbo’s father." This means the bottle in question was at least 75 years old by the time of Bilbo's party, because Bungo Baggins died in 2926. (Incidentally, did you know that Bungo had a brother named Bingo?). In a previous life, I was a wine-critic. So I found Tolkien's throw-away line about this vintage fascinating. Making wine is really hard. 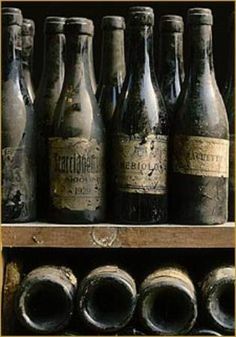 For most of the middle ages, wine couldn't keep for more than a few months. 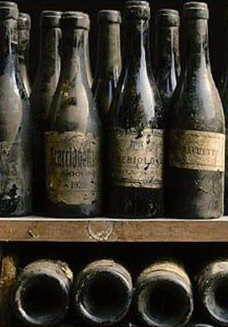 Creating a wine that can age for almost a century demands tremendous agricultural know-how, investment and planning. In other words, it's the act of an advanced society. So when Tolkien inserts post-offices and silverware into the Shire, he's doing it with great care. Put this all together, and what do you have? The Shire begins to resemble a district of England during its mercantile heyday in the 18th and 19th centuries. Of course, you don't have to take my word for it. In another one of his letters, Tolkien observed to his publishers that the Shire "is in fact more or less a Warwickshire village of about the period of the Diamond Jubilee" (Letter 178, Dec. 12, 1958). Queen Victoria's Diamond Jubilee was in 1897. 1897?! That makes the Shire closer to steampunk than to classical fantasy. But if the book starts out in an advanced time period, it certainly doesn't stay there. And that's why I say that Frodo's journey is a trip through time as well as through space. One of his first stops, Bree, seems more like a medieval village than a Victorian countryside. And after that, Frodo enters into the unpopulated wilderness belonging to the Dark Ages. I'm not trying pin the world of Middle-earth to a specific period (or periods!) of real-world history -- that was clearly never Tolkien's intent; he wanted Middle-earth to stand as its own independent creation (or, as he would call it, a subcreation.) However, I do think it's important to appreciate that the world of The Lord of the Rings is not as homogeneous as we might think (or as homogeneous as its portrayed in movies and role-playing games). Rather, Tolkien had a playful and elusive sense of time and technological advancement. The Shire is Victorian, Rohan is Beowulfian, and Isengard is industrial. The beauty of Tolkien's vision is that these disparate settings cohere into a single mosaic. We see your silver blossom blown! What struck me here was the line about the stars being created in "the Sunless year". Anyone who's read The Silmarillion will recognize this as a reference to the ancient period thousands of years before the War of the Ring -- a period predating even the creation of the sun and the moon. This is not just a poetic image: Varda literally placed the stars in the sky to help the fight against the dark lord Morgoth. With this song, Tolkien tells Frodo (and us!) that we too are leaving familiar things behind and stepping into a mythic age. To read on, here is my commentary on Chapter 4. Or you can find my commentary on Chapter 2 here. A most interesting and thoughtful post.Much for me to mull over. Of course the Victorian traveller could do similar time travelling by journeying to other parts of his world, to Africa, the Caucasus, The Canadian North West. and on and on. That's quite right! Although it still is an interesting literary technique, to shift between time periods. An example that leaps to mind is Conrad's Heart of Darkness, where the journey into the heart of Africa is frequently portrayed as a journey back through time into prehistoric ages. Fabulous insight, I'm devouring all your thoughts on the book so far, you travel where only a few have dared to travel. Please keep on! I am so happy that you are getting something out of these, Suber. If you want further proof that the Shire's post-office was not a randomly inserted detail, I looked up Letter 178 and saw that Tolkien was distinguishing the Shire from dreary north Oxford "which has not even a postal existence." I think JRRT got quite snappy when people accused his writings of being Oxford-ish. More great food for thought! You've got me thinking . . . common wisdom is that the Shire represents bucolic Middle-England while Isengard represents the evils of the Industrial age. However, Isengard never struck me as very "industrial" in the technical sense. Its more "proto-industrial" or, better put, primordial. Life rising out of earth and mud, fire and wood, with resulting creatures acting on instinct alone. Sounds more like Genesis than London sweatshop. So, perhaps we're only traveling back in time, to worse and worse locales. If the Shire is Victorian (the ideal), the traveling roads are dark ages (civilized respites like the Prancing Pony but still dangerous), Rohan is Beowulfian (only basic agriculture, authoritarian rule by royals who are easily corrupted, a society under siege) then perhaps Isendard isn't jumping back AHEAD to post-Victorian. Perhaps Isengard is going back FURTHER, to before man - or at least man-made society. Then the basic "message" isn't read as an anti-industrial allegory but rather pro-civilization, that we need to band together to avoid slipping backwards into anarchy and lawlessness. I think that message resonates better today than a "farms good, smokestacks bad" story. Anyway, thanks again for getting me thinking - fun though always dangerous! One pertinent victorian time traveller is Guest from William Morris's News From Nowhere - it's agrarian socialist utopia, and arguably influenced Tolkien's the Shire, which has less trade and nominal government than one might expect from a historical Victorian economy rather than an idealised one. The case for schools, and widespread literacy in the Shire is quite weak - to quote Gaffer Gamgee speaking of Sam - "Mr. Bilbo has learned him his letters - meaning no harm, mark you, and I hope no harm shall come of it". Which goes unchallenged in the Ivy Bush to a largely illiterate society and suspicious of book-learning. It's not to be forgotten that Bilbo, Frodo and Meriadoc are thought of as somewhat queer. Fairy blood, wrong side of the river and all that. Equating time and space through Frodo's journey is a common reading, but problematical (less so in The Hobbit), Tom is Eldest and lives in the Shire, or at it's border at least. And the barrow-knives relics from a far more ancient war. History permeates everything. Tolkien's world is much more post-modern construct than following classical social evolution, whereby some cultures are more "advanced" than others. Well, to keep the conversation going, I see the Shire as not just agrarian, but mercantilist as well (someone is making all those silver spoons and flatware, after all) and thus quite dependent on trade. And I certainly see no socialistic tendencies in the place - Samwise is quite happy to hold his lowly station as a gardener and "serve" Frodo. While Frodo treats him as equal, Frodo is certainly the benevoent landed gentry, inheriting his wealth rather than earning it, though treating the "help" with grace. If its a utopia, it seems more a classist, Libertarian-leaning one than a heavily taxed and regulated social state. And I also see very little that's post-modern (or even modern) about the books. Tolkein's not deconstructing myths, he's building them. He's not ironically commenting on social mores, or describing truths as simply a matter of perspective - there's real good and evil and hard choices to be made as to which side to join. His writing is too romantic, and his characters are to clearly delineated as good and bad. Tolkein's critics (generally post-modernists themselves) decry him as retrograde and premodern, and I think they're right that he is, and wrong that its a bad thing. In fact, I see his lack of post-modernism as key to his popularity, as he speaks to universal truths. There will always be the fat and happy, eager to hide in holes of luxury, and there will always be barbarians at the gate, ready to force them out. And in Tolkein's world, "western" civilization must be preserved from time to time by warriors (those naturally born to it and gentile souls forced into it), though such preservation is not guaranteed. That message endures far greater than it would have had it been couched in a post-modern mush of perspective and exploration of self-realization. No time for reflection, there's Orcs at the door! In any event, that's what great about great books - you can take from them what you wish and interpret how you like! And I also agree with you about the anti-modernism/anti-postmodernism in JRRT's books. My point about "shifting time periods" isn't that he's pulling a post-modern trick, but that his conception of Middle-earth doesn't fit neatly into the standard D&D low-medieval template of feudalism. It's more complex and odd than that. Yes, complex and odd is right. Just to reiterate from the prologue, we're already dealing with the perspectives of multiple unreliable narrators and the construction of history, themselves post-modern themes, and to that we can add the use of anarchonism. Ah But we're only at chapter 3, and the road is a long and winding one, with no certainty of success. That's a good point about the trade in luxury items, both incoming and outgoing of the Shire. It might be reasonable to include the Hobbits gift economy of birthday presents as part of an over-arching frivolity. These are both really great comments/meditations. It's great seeing people chew on this stuff.